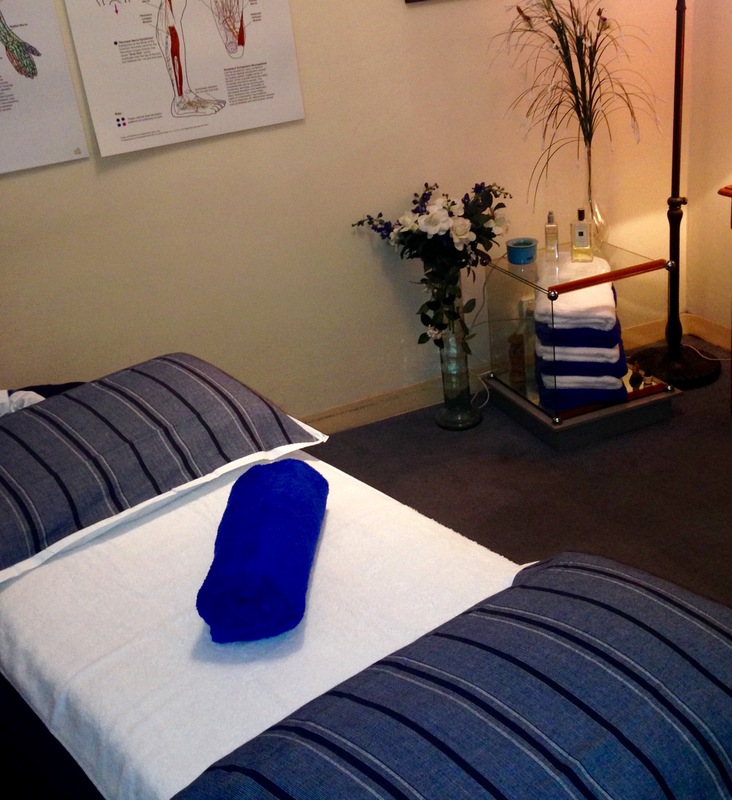 Trina Steer Clinical Massage was established in Mosman in 1996. The Clinic location in Mosman; opposite Avenue Road between Brunskills Pharmacy and the Chicken Shop. You'll find a door, take the stairs and there we are! The Clinic specializes in treating Muscle Pain. Trina holds three body work diplomas and has worked in the the Natural Therapy Industry Australia since 1993. She is a registered practitioner with ATMS. One of the most frequent questions asked of me by clients is about my working background experience, and how did I arrive at Massage Therapy as an occupation. Following this training I worked as a co therapist at the Applied Psychology Clinic Auckland NZ. I held this position for 1 year. My work involved the 'Stop Smoking Program', involving Cognitive Behaviour Modification Therapy. In 1979 a fulltime position opened at the Mangere Immigration Centre Auck NZ where I taught Orientation to Asian Refugees. I worked with two ESL (English Second Language) teachers. Our position was to teach English, however as this was a new area in teaching, due to the high influx of Refugees, there was no particular job description. Training as a Counsellor alongside the expertise of the ESL teachers, we devised a programme to teach Orientation and English together. This was an extremely successful and innovative way in helping new arrivals adapt to the NZ way of life. In 1982 whilst working at the Immigration Hostel, I was approached by a modelling scout. The years following saw me in a modelling career, by 1983 I had a few modelling contracts, one being the Avis Lady NZ (1983-1988). This contract exposed me overseas where I joined a Sydney Agency. By 1987 I became a permanent Australian resident, and continued to work in this area till 1994. Although having a successful modelling career in Australia, I longed to revisit my passion working with people in Health. By 1991 Natural Therapies was becoming more popular, and mainstream. I enrolled at Nature Care College to study Naturopathy in early 1991. By the second year, of the Naturopathic diploma having completed all the medical and science subjects I diversified to the Body Work Therapies. A new wave of how we approached our health was emerging and by 1996 Grand United Health Fund became the first health fund to give recognition and provider numbers offering rebate to Remedial Therapeutic Massage. An action, giving the whole Therapeutic Massage Industry, credibility. A giant leap forward. Where my work has taken me today. The connection between Mind and Body excited in me, every aspect of learning, especially how the body and mind interreact with one another in relationship to our health. To this day it has been a path of immense joy, learning and challenge. Discarding myths, finding new scientific evidence about how we perceive pain. How our mind affects our body and how stress appears to be connected to our immune system. I have been extremely fortunate to have found my passion; and massage is the vehicle, in how I work with my hands and brain to achieve results with people suffering from pain. Either physical muscle pain or emotional, both appear on certain levels inter-connected. Not always, but frequently. It is often hard to describe my work, all I know word of mouth has been my best reccommedation, reinforcement, and validates 'hands on,' works. 1996 the clinic opened as Trina Steer & Associates. Today there are no associates; and advertised as Trina Steer Military Rd Clinical Massage Mosman. My focus for the Clinic has never changed from its inception in 1996. The philosophy and goal is to maintain an extremely high standard by continually improving and updating ideas and knowledge on body work. It is important to help educate the public on the benefits of Therapeutic Massage and to recognise wide variations in training and qualifications of Massage Therapy in Australia today. To this day I continue to learn and attend seminars and conferences on 'Pain'. I belong to a few overseas groups involved in Evidence Based Massage these include the Groups, Skeptical Massage Therapist. Dermoneuro Modulation and Science of Massage Therapy. Here in Australia I belong to Professor Moseley' University of Adelaide blog, Mind in Body- research into the role of the brain and mind in chronic pain.